The Taliban movement in Afghanistan has an estimated strength of 30,000 men. The estimate is contained in an unclassified training document for US personnel to be deployed to the country which has appeared on the internet through the website Wikileaks. The document, prepared by the US Army Training and Doctrine Command ((TRADOC) and the TRADOC Intelligence Support Activity (TRISA) ‘should not be considered a finished intelligence product, nor used in such a manner’, the authors stress’. It contains details about warlord militias; groups related to Iranian and Pakistani Intelligence Forces; terrorist groups such as Al Qaeda; insurgent groups such as the Taliban (including a detailed chain of command), Hizb-e-Islami (Gulbuddin) and the Haqqani network; as well as different groups that are active in Pakistan. 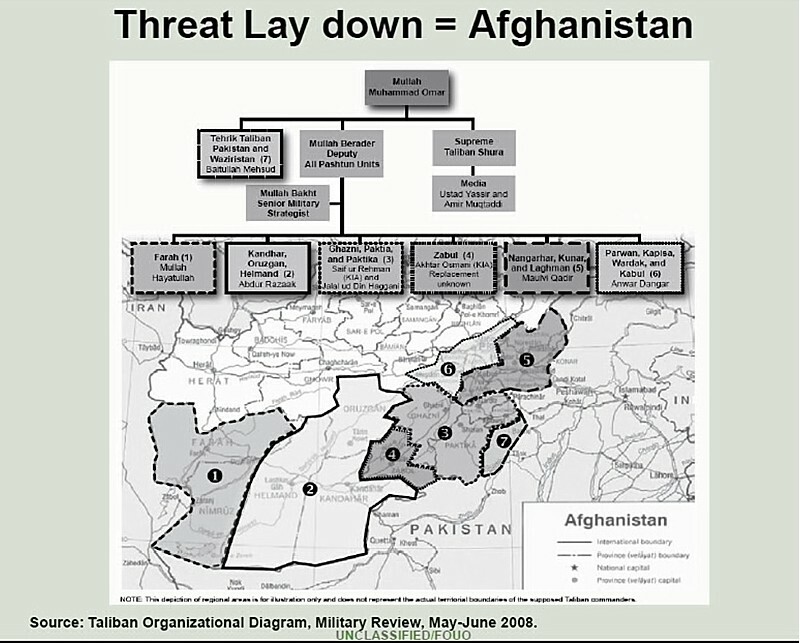 The document relies in part on open (=public) sources, such as estimates by the non-gouvernmental organisation ICOS (formerly known as The Senlis Council) which had stated earlier that by the end of 2007, there were ‘heavy’ Taliban and other insurgent activities in about 54% of Afghanistan. – Local music shops and barber shops are closed. – Television and stereos sets found burnt in street. – Girl’s schools threatened or bombed. – District government officials have resigned or were found executed. – TB Flags seen flying over buildings. – TB CDs, DVDs and cassettes were prolific throughout the area where they were not before. – Taxi Cabbies play TB music in their taxis. – Armed TB fighters reportedly walking freely in the towns and villages. 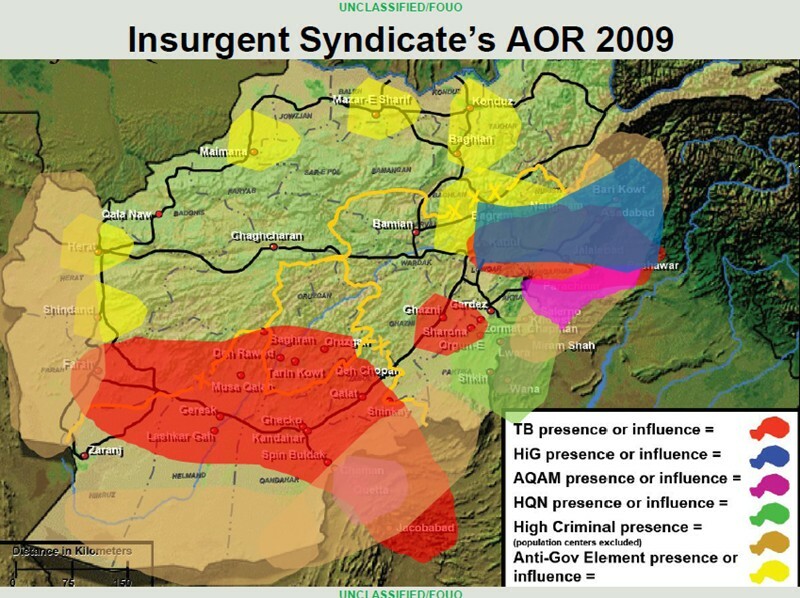 – IEDs and ambushes reported on roads leading into that district or area. – Armed men on motorcycles. – Armed men not in official uniform driving/riding in police vehicles.